Here is the line-up card for Week One of the 2012 Owl's Nest Pick 'Em sponsored by www.ItsOwlTime.com! Deadline is Friday at 6:00 PM EST. No late cards will be accepted. The Prize for Week 2! so this time, we playing spread or win/lose? There are some interesting Belt games this week to liven things up; save that they would all be cupcakes again! 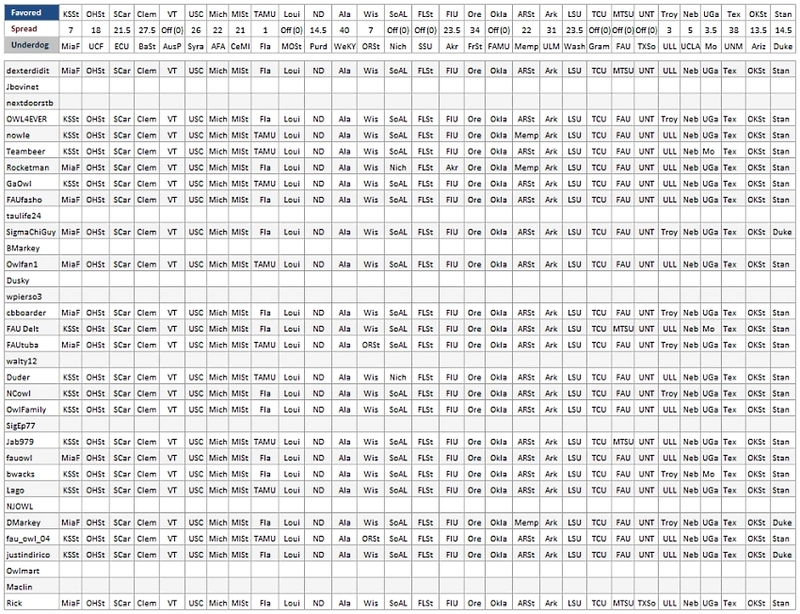 Would expect more perfect scores to result……. Time to pick some upsets–I would love to win a t-shirt! Great prizes week to week. I really need a new T…it's on! Looks like some folks fell asleep at the wheel……. What, no Cincy over Pitt? Darn, I got that one right already! Good luck to everybody, and GO OWLS! 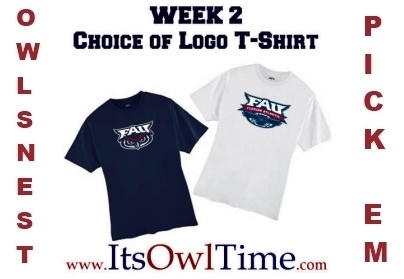 A FIVE-WAY tie for Week 2, but Jab979 in the House as Winner, and the recipient of a Free T courtesy of www.ItsOwlTime.com!